The Workboat Code Edition 2 stalled earlier this year for MCA internal reasons, having been put into final draft form in August 2017. However it seems to have been resurrected & we’re advised by MCA that they hope to publish before the end of the year. It is currently at the EU, where MCA think it will stay for another month. It should also clear the UK Got Regulatory Policy Committee (RPC) within the next few weeks. It is to be enabled by a Merchant Shipping Notice (MSN) which has been cleared by MCA legal section. 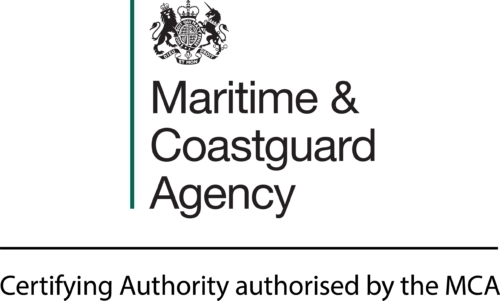 There is also a meeting 12 Nov at MCA to discuss application of the new code to existing workboats. As previously posted, the 500 GT Code fell close to its final hurdle when MCA refused to accept the industry proposal to use qualified & competent Certifying Authorities rather than Class Societies for domestic vessels that do not come under international Conventions. The code was in final draft form when MCA at senior level vetoed our involvement (Mecal & SCMS) . The cost & inconvenience of using class is unacceptable to the industry. However, it may be resurrected in future or picked up sooner by another of the Red Ensign Flag states. The MCA have recently appointed a “Regulatory Delivery Officer”. The appointment is intended to look at the codes & try to unravel the confusion in the industry caused by multiplicity of codes & drafts & to apply improvements as a result of the judge’s comments at the conclusion of the Cheeki Rafiki trials. We will co-operate with this process & there is a meeting between new MCA RDO & the CA’s scheduled for mid October. We hope that this will also enable the MCA to set the required CA surveyor standards in order to resurrect the 500GT Code in a way that will be acceptable to industry. This was established by MCA & CA’s earlier this year for the purpose of reviving the old Technical Interpretations scheme that supported the application of the colour codes in the 1990’s. The forum has already looked at subjects including use of Class Rules by CA’s, the usefulness of RCD certification towards code compliance & common acceptance standards for MOB recovery. With the help of the MCA we have made good progress on the 1st 2 & hope to be able to issue detailed advice on this website shortly.